In the men's room. 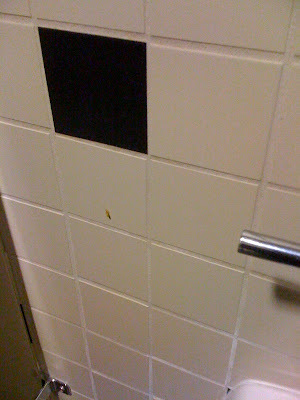 See that thing below the black tile? It's a booger. A really big one. Seriously? You couldn't flick it in the urinal? There's about 8 of these above the urinal at my work. WTF?